Think air pollution is limited to the outdoors? Think again – Lexington homes are typically 5 times more polluted than the air outside – in some cases, indoor environments can be as much as 100 times more polluted! Exposure to contaminants can create a host of health issues. Learn how contaminants affect your household and what you can do to improve indoor air quality. When contaminant levels in the home are high, family members can be impacted health-wise. Exposure to poor air quality can mimic symptoms of a cold or the flu. If someone in your household has asthma, attacks may be triggered by contaminants in the air. Allergy symptoms may be heightened if someone is sensitive to a particular contaminant. Older family members, small children, and people with compromised respiratory systems may notice the most sensitivity to poor indoor air quality. While many indoor contaminants don’t pose serious health risks, certain ones do. Carcinogens, such as cigarette smoke, and VOCs, when exposed over a long period of time, can cause cancer. While changes such as using all-natural products in the home and improving the home cleaning routine work to reduce contaminants, your best bet is to look into professional whole-home solutions which work with your HVAC systems to treat all air circulating through the home. 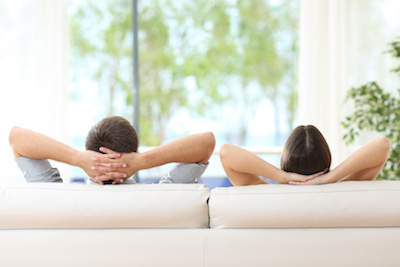 Climate Control’s IAQ experts offer whole-home solutions for the air quality issues you face. From humidity control to air purification, our IAQ products will improve the air you breathe indoors. Contact us to learn more.